Miss Raquel views children as confident and capable learners who are naturally curious. 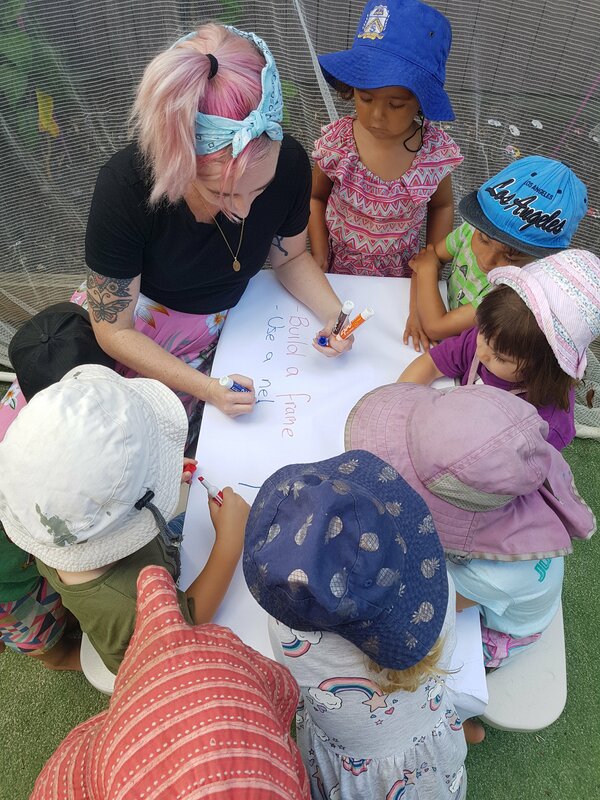 Our Kindergarten programme is aligned with the Queensland Kindergarten Learning Guidelines and encourages a play based curriculum. Our learning experiences are inspired by the children’s interests and are implemented in an environment that enhances and supports your child’s learning, drawing upon their experiences and emerging ideas. We encourage parent involvement and work within our local community to build on going partnerships that enhance the children’s life long learning skills. Our programme approach is flexible so that we can cater for each child’s needs and wishes and is available for parents’ perusal at any time. **names removed for privacy reasons. Our Kindy Program is delivered to align with the school terms.